We had a lovely evening with Karen of Frocks, http://www.frocks.co.uk/ . 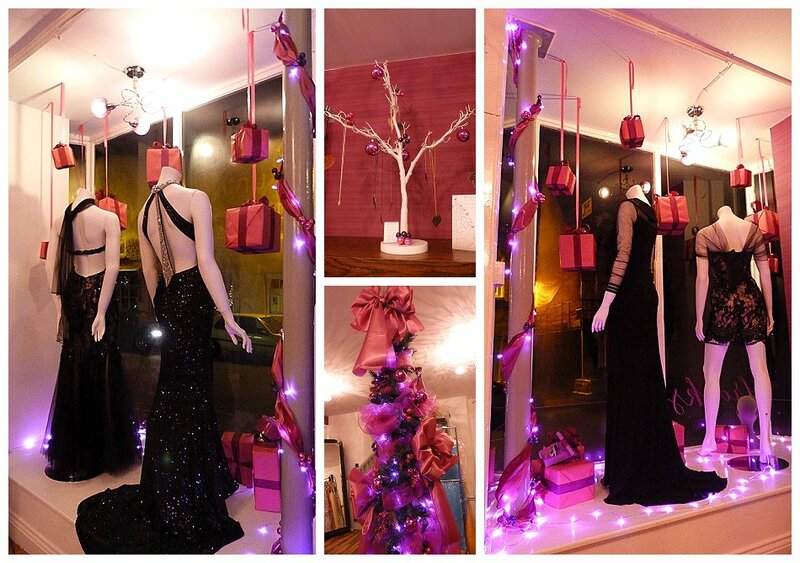 We really enjoyed styling Karen’s windows and in store for Christmas ahead of the Thrapston lights festival on Saturday; Frocks have some beautiful new dresses for the festive season complimented by our scheme, incorporating various tones of purple their signature colour. We wish Karen & team a very Happy Christmas and a prosperous new year. 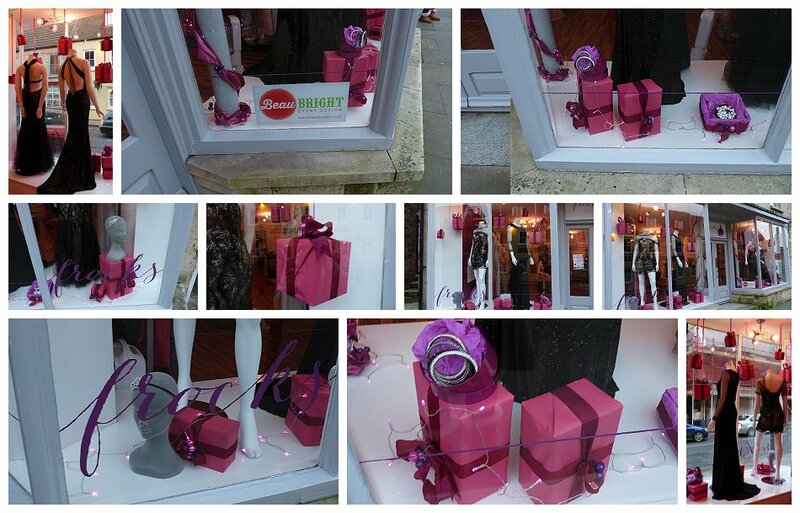 Lovely feedback from Karen, “For those of you who haven’t already seen, thought you’d like a look at our beautiful festive in store and window styling care of our friends Justine and Rebecca of Beau Bright Event Design. Love it and now properly in the festive spirit”.